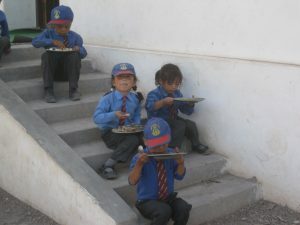 While visiting a remote school in Ladakh on an inspection visit, I came across this lunch-time scene. The food was being donated by a friendly monk, and it consisted of pretty thin gruel; but it was definitely better than nothing. HELP sends volunteer teachers to this school.